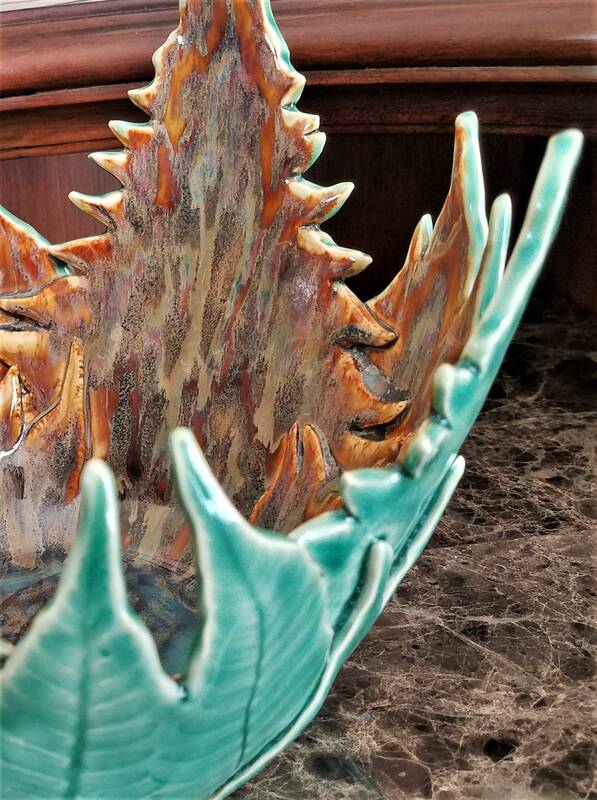 This listing is for a "Pottery Second", meaning, there is a minor flaw on the inside of the vase near the bottom, (see picture #7). This flaw appears on the inside only and does not impact the functionality or overall beauty of this piece of artwork. I am offering this piece at a 25% discount. 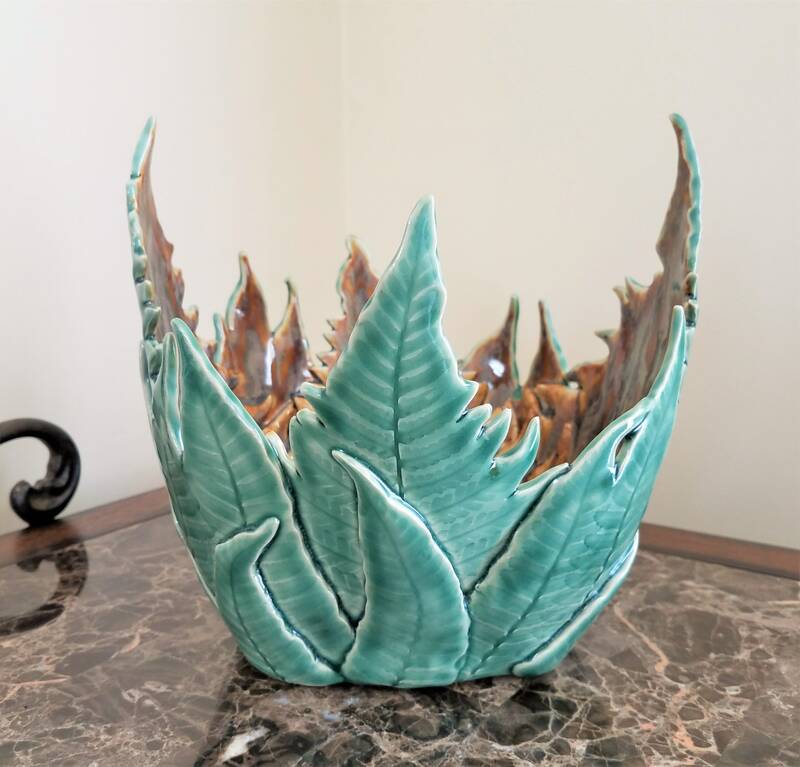 I created this fern vessel using stoneware clay and fern fronds from my garden. 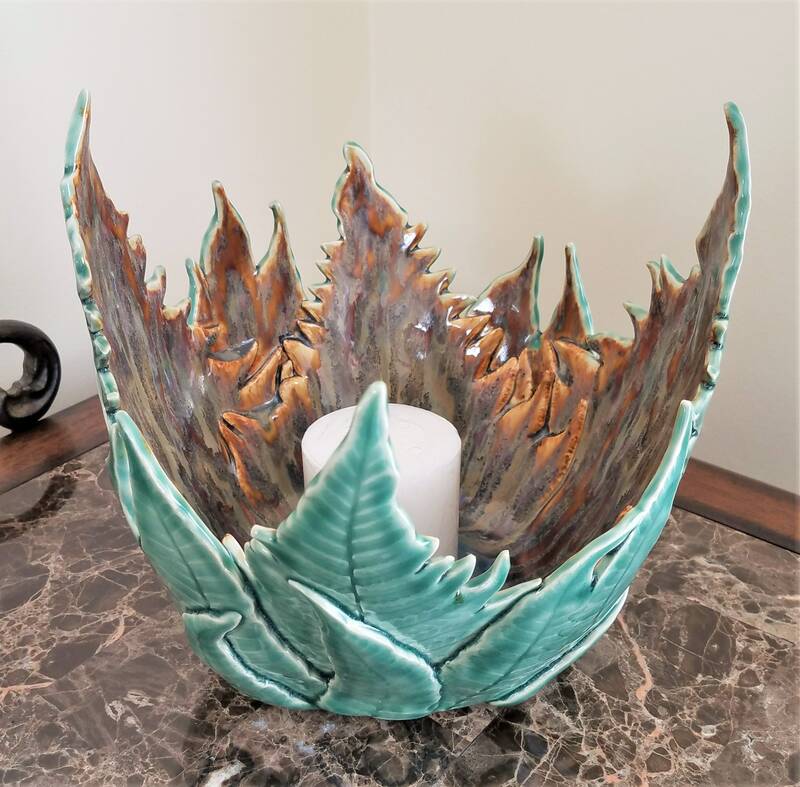 Displayed on a table filled with potpourri, or used as a candle holder to create a cozy atmosphere, this handcrafted bowl makes an interesting decorative statement. 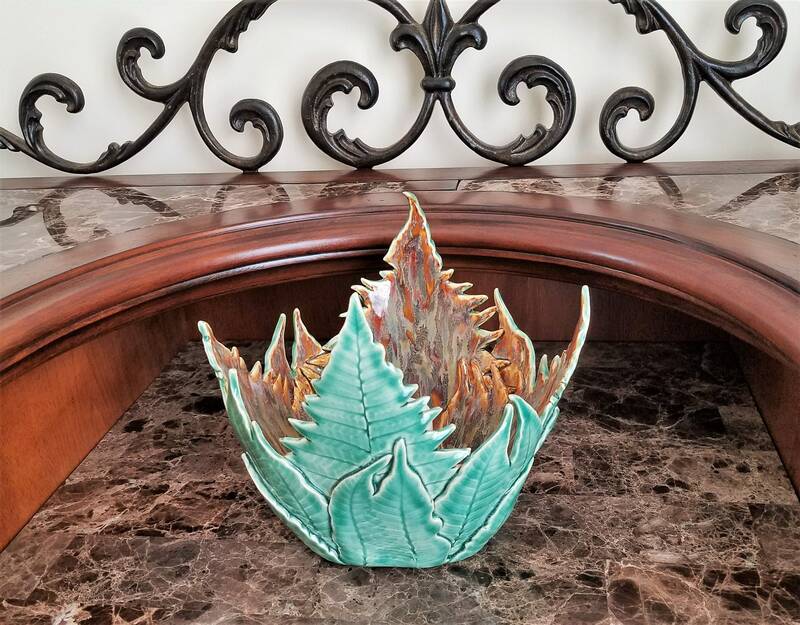 My fern vessels also make great planters for succulents or other plants. 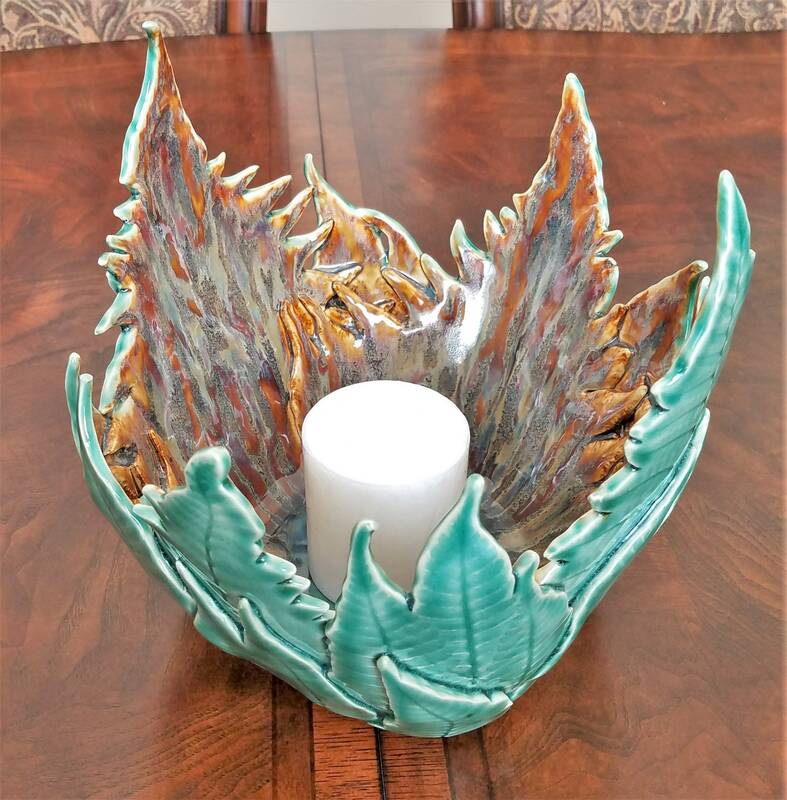 And, because they are made of stoneware clay, you may place it outside where it will withstand the elements. (If temps fall below freezing - please bring it indoors). 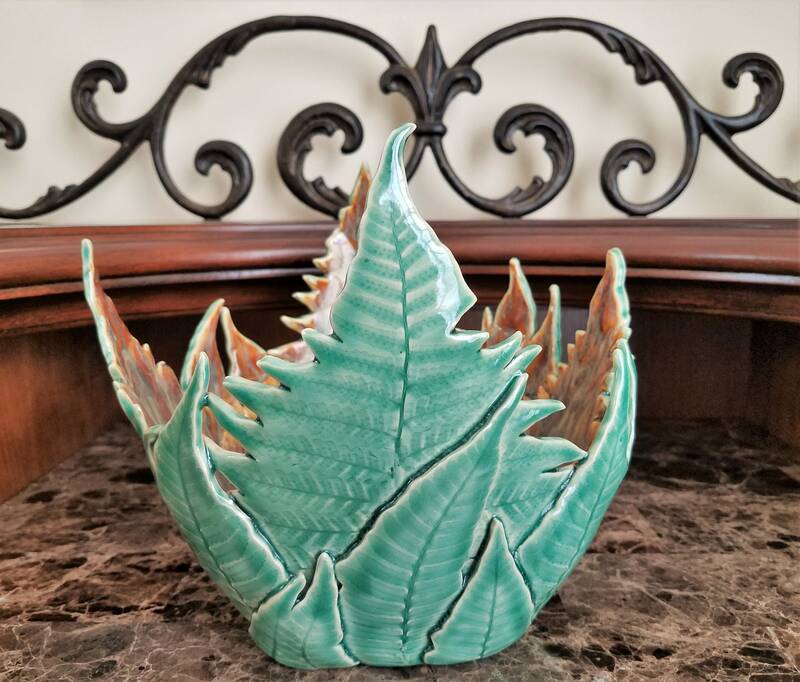 To create these vessels, each fern frond is pressed into clay slabs, then intricately cut and assembled into a vase or bowl shape. 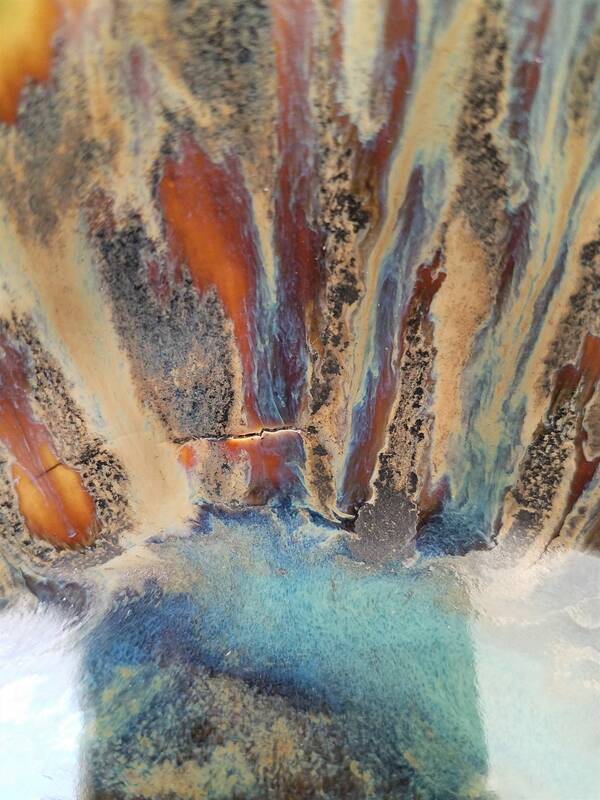 Hand glazing with various colors and application processes produce an visually pleasing flow of color on the inside. 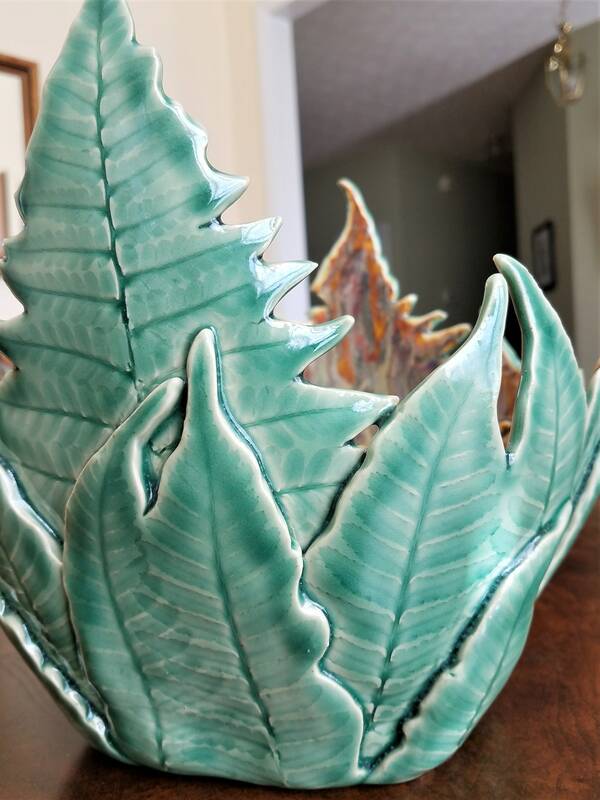 The outside of the vessel was glazed in green which brings out the texture of the fern fronds. 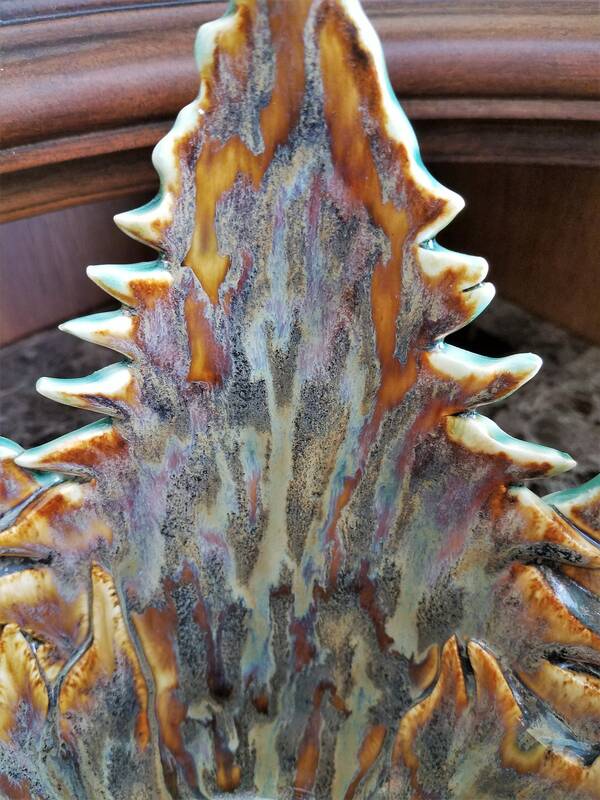 Kiln-fired to cone 5. 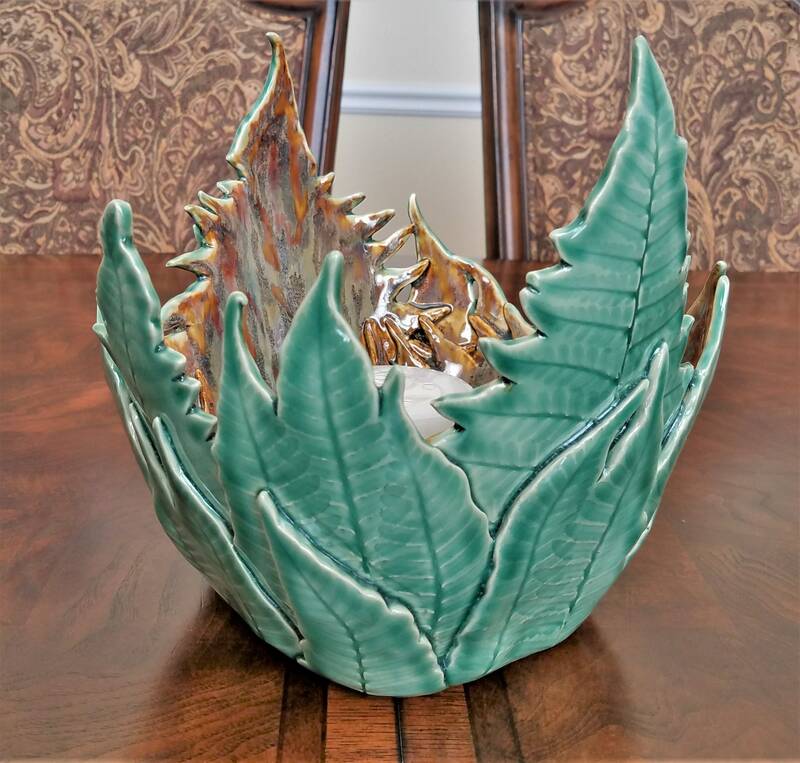 My fern vessels are a decorative piece of art only, and are not intended to be used to serve or hold food.